The Lucha Bros (Pentagon Jr. & Fenix) defeated LAX (Santana & Ortiz) to become the new Impact Tag Team Champions. This is Pentagon & Fenix's first reign with the titles. Here's how our Impact writer Antonio Garza described Saturday's Lucha Bros vs. LAX match: "The Lucha Bros got a big match entrance with Chinese dragon dancers. This was about as good as the Homecoming match, if not slightly better. The crowd was hot for the Lucha Bros, and when some fans started an 'Impact Wrestling' chant, the Cero Miedo chant would overtake it. The finish saw Pentagon pin Santana with the spike Fear Factor, while Fenix hit a Tope con Giro on Ortiz on the outside." The Lucha Bros and LAX embraced after the match, and all the babyfaces came out to celebrate with the Lucha Bros to close the tapings. Pentagon, Fenix & Taurus defeated LAX & Daga in a six-man tag match at Friday's Impact tapings in Mexico City. Pentagon then challenged LAX to the title match. 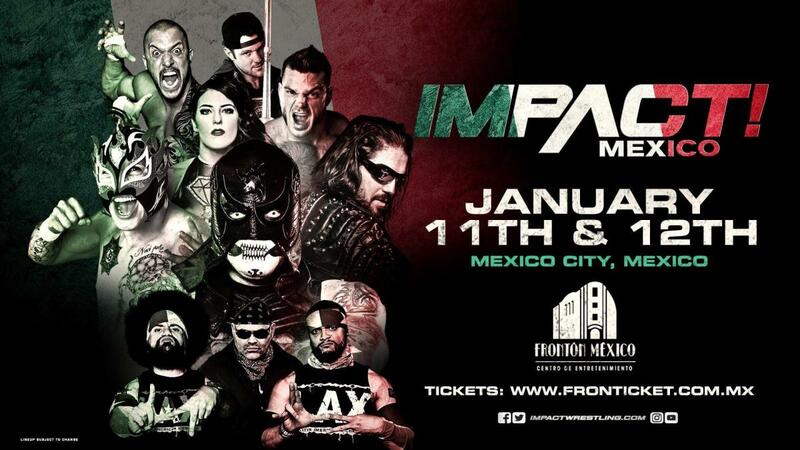 LAX had retained the titles against Pentagon & Fenix at Impact's Homecoming pay-per-view earlier this month.